As all of you who have downloaded RaspEX Build 180328 may have noticed YouTube doesn’t work very well in Chromium or Midori. Furthermore the newest versions of Firefox doesn’t work on a Raspberry Pi computer. The solution is to download and install Firefox 52.7.3 ESR. Unzip raspex-firefox.zip and install Firefox ESR with the command sudo dpkg -i libevent-2.1-6_2.1.8-stable-4_armhf.deb firefox-esr_52.7.3esr-1_armhf.deb. After that you can really enjoy YouTube in Firefox/RaspEX! 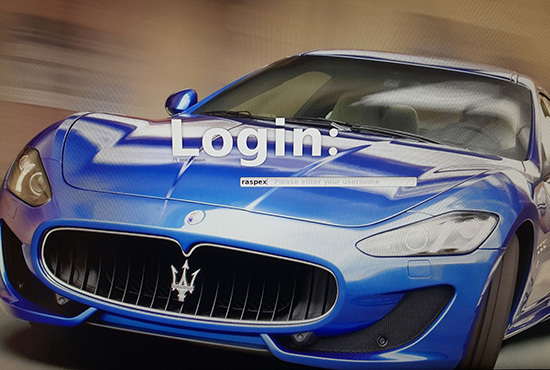 Note: For some unknown reason the sound works better when logged in as root. Raspberry Pi 3 Model 3 B: How much better is it than the Raspberry Pi 2? Raspberry Pi 3 is performing 10 times faster than that of the Pi 1 and around 50 percent better than that of the Pi 2 according to testers. 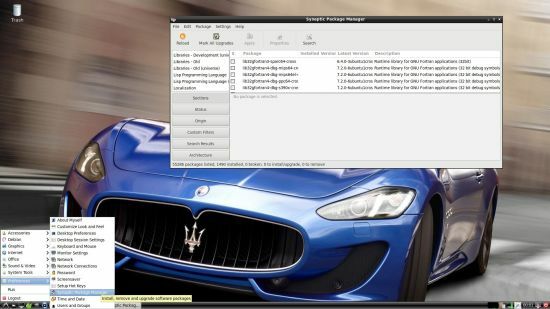 RaspEX is a full Linux Desktop system with LXDE (an extremely fast-performing and energy-saving desktop environment) with many other useful programs pre-installed. Chromium is used as Web Browser and Synaptic as Package Manager. 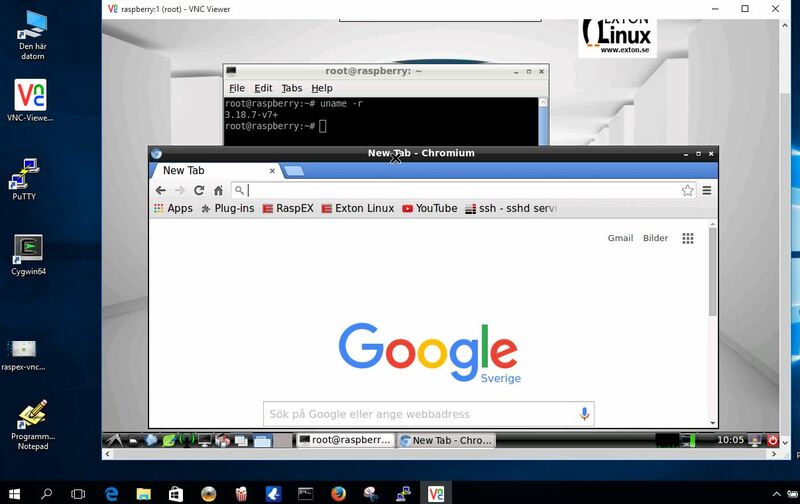 You can use Samba and VNC4Server to connect to your Windows computers in your Home Network and/or control RaspEX on your Raspberry Pi 3, Pi 3 Model B+ or Raspberry Pi 2 from your Windows computers with VNC Viewer and/or PuTTY (Telnet and SSH client). You can use Synaptic to install any extra packages you may need. For example LibreOffice. RaspEX uses Ubuntu’s software repositories so you can install thousands of extra packages if you want. 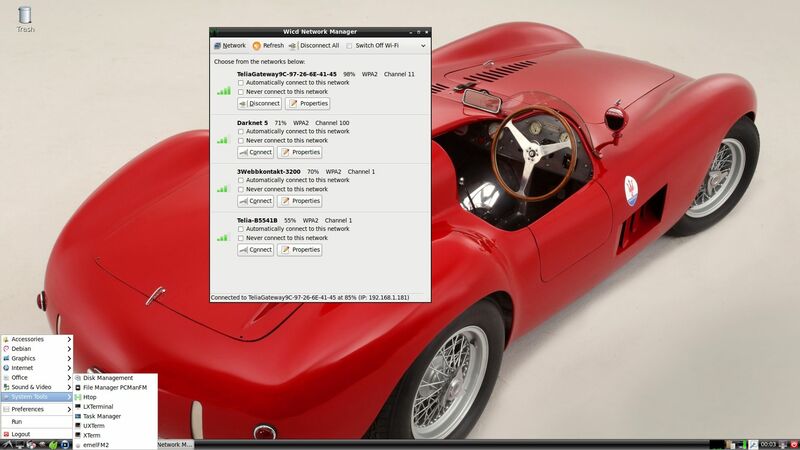 Eight Operating Systems are recommended by Raspberrypi.org. Among them Noobs, Raspbian (Debian Stretch) and Snappy Ubuntu Core. RaspEX is faster (“fast as lightning”), more useful and more fun to use. (In my opinion). 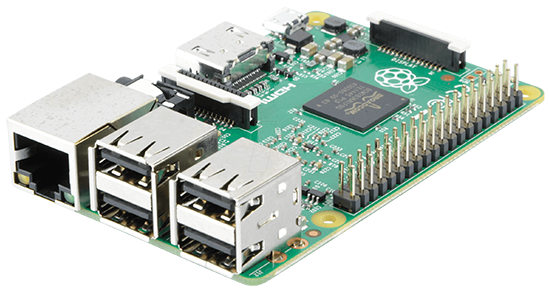 One member at this site thought that running RaspEX (for Raspberry Pi 2 Model B) was like running Raspberry Pi on “steroids“. If you use the new Raspberry Pi 3 Model B+ it will be even faster! Just like any other Raspberry Pi system. I.e. 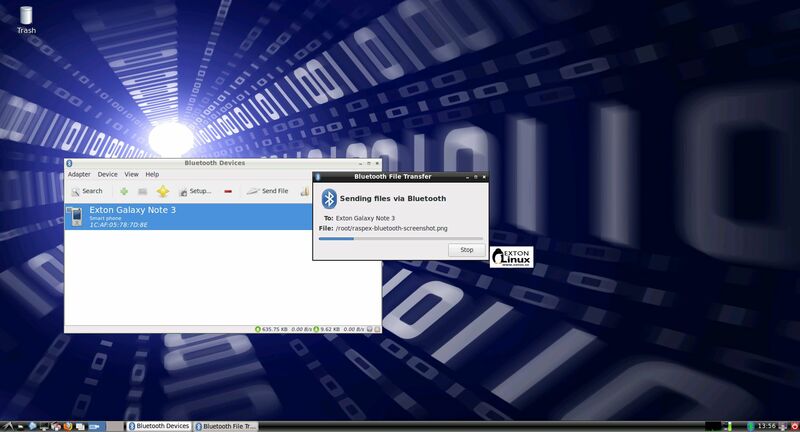 : Unpack the downloaded ZIP file (raspex-ubuntu-18.04-LTS-lxde-1480mb-180328.zip) and transfer the IMAGE file (raspex-ubuntu-18.04-LTS-lxde-4400mb-180328.img) to your Micro SD card of at least 8GB. For that you shall use Win32DiskImager in Windows. When running it it will look like this. After that you can run apt-get update with success even though you still will get the same “no_pubkey” errors. Don’t worry. This error won’t prevent you from upgrading the system regularly with the command sudo apt upgrade. The new Raspberry Pi 3 and 3 Model B+ computer has “built in” 802.11n Wireless LAN. Using Raspberry Pi 2 you have to have a Wireless USB Adapter. The only one which works for Raspberry Pi 2 is Edimax EW-7811Un (as far as I know). NOTE: That’s all you have to do. Just wait for the script to fix everything. If you use a SD card of 64 GB all the space on it will be used afterwards. SSH, Samba and VNC4Server are pre-installed in RaspEX Build 180328. 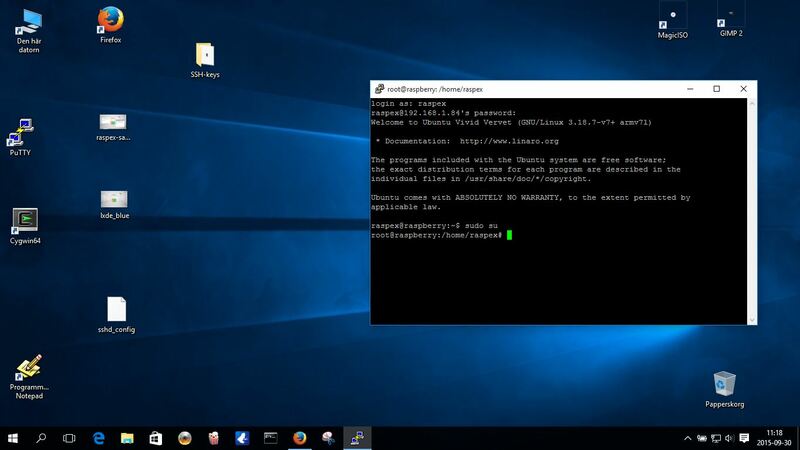 You need to install PuTTy and and VNC Viewer in your Windows system if you want to connect to RaspEX/Raspberry Pi 3/2 from Windows the way the below slideshow shows. 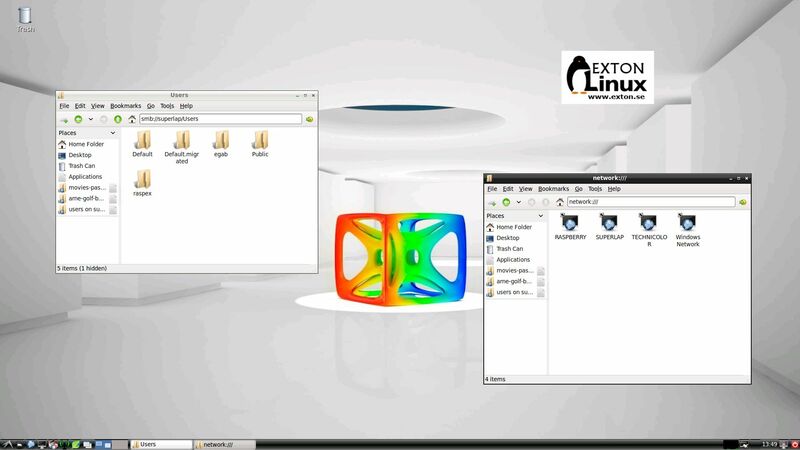 (Please read the developers information about how to configure PuTTy and VNC Viewer). It seems difficult (maybe impossible) to use the “built in” Bluetooth adapter running RaspEX on Raspberry Pi 3 Model B. Using a Bluetooth dongle for example Asus USB-BT400 dongle on Raspberry Pi 3 Model B and Raspberry Pi 2 you should have no trouble using Bluetooth in RaspEX. 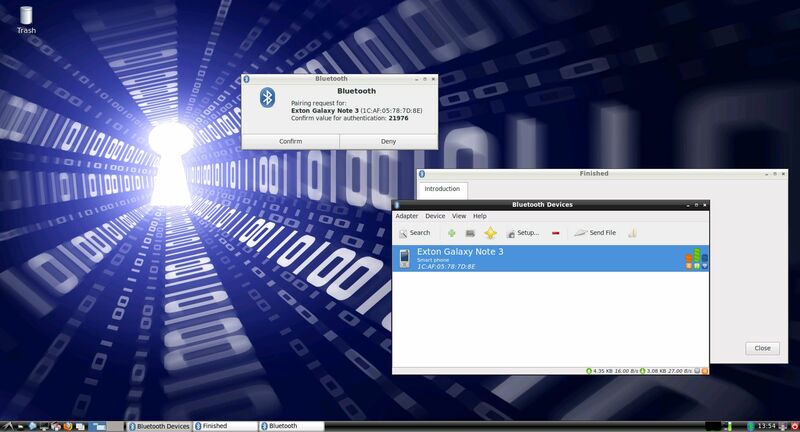 Watch these two screenshots when Blueman (Graphical Bluetooth Manager) is running. Using the new Raspberry Pi 3 Model B+ it should be easier to use Bluetooth. 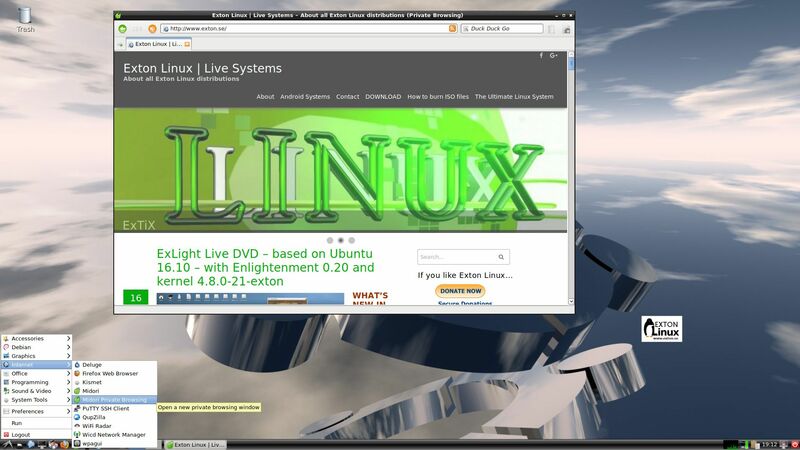 This entry was posted in Exton Linux, Linux, RaspEX and tagged Bluetooth, Chromium Browser, Debian Stretch, exton, kernel 4.14.30, Linaro, Linux ARM, LXDE, Midori Private Browser, NetworkManager, PulseAudio, PuTTY, Raspberry Pi 3 Model B, RaspEX, Samba, SMTube, Synaptic, Ubuntu 18.04 LTS, VNC-viewer, Wicd. Bookmark the permalink. “If you want to install Canonical’s upcoming Ubuntu 18.04 LTS (Bionic Beaver) operating system on your brand new Raspberry Pi 3 Model B+ computer, now you can with the latest RaspEX distro. RaspEX developer Arne Exton released today a new version of its Linux distro for Raspberry Pi SBCs (single-board computers) with support for Raspberry Pi Foundation’s recently announced Raspberry Pi 3 Model B+, which features a faster 1.4GHz 64-bit quad-core ARM Cortex-A53 CPU, dual-band 802.11ac wireless, and Gigabit Ethernet. 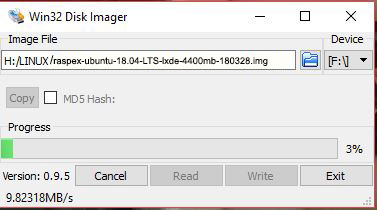 Thanks, and yes, this is noticeably faster than Raspbian Pixel! Sound should work, but… It sure does for me. Hm. I’m stuck, I guess… the only interface that shows up is Analog Audio (not HDMI or anything else). Is there maybe some other interface than the default one(s)? RaspEX should work on all Rpi versions. Hm. Well, I stuck my MicroSD card into my Zero, and it almost immediately KPed on me. Burnt a fresh SD Card, and it gave me a kernel panic too… Apparently the Zero doesn’t like the new kernel. I’m sorry to hear that. (I don’t have the Zero version myself). I have the exact same problem on my 3B+. I want to get hdmi audio working. Pulse Audio Volume Control shows only “Built-in Audio Analog Mono”.